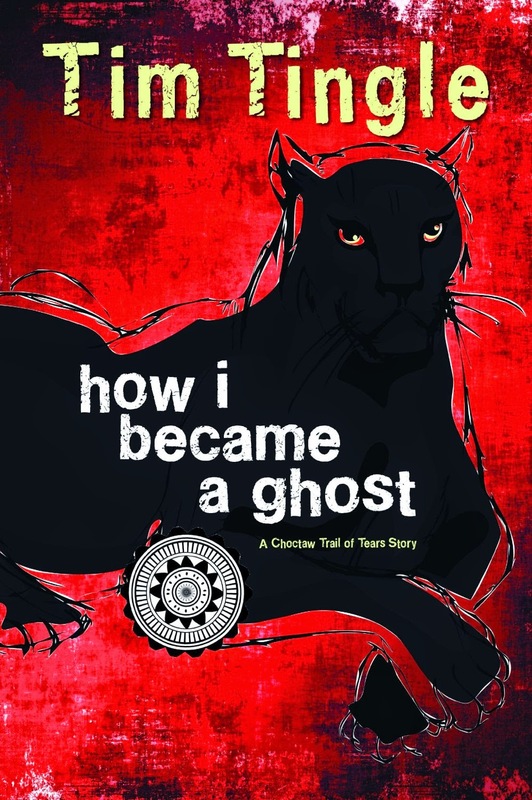 How I Became A Ghost (How I Became a Ghost Series) Told in the words of Isaac, a Choctaw boy who does not survive the Trail of Tears, HOW I BECAME A GHOST is a tale of innocence and resilience in the face of tragedy. From the book's opening line, "Maybe you have never read a book written by a ghost before," the reader is put on notice that this is no normal book. Isaac leads a remarkable foursome of Choctaw comrades: a tough-minded teenage girl, a shape-shifting panther boy, a lovable five-year-old ghost who only wants her mom and dad to be happy, and Isaac s talking dog, Jumper. The first in a trilogy, HOW I BECAME A GHOST thinly disguises an important and oft-overlooked piece of history. Tim Tingle's HOW I BECAME A GHOSTAs the title suggests, Isaac is going to become a ghost, but this isn't a scary ghost story. Scary things do happen--this is a story about the forced relocation of a people, but it is more about the humanity of the people on that trail than it is about that forced relocation. How I Became A Ghost is about spirituality and community and perseverance. And laughter. There's some delightful moments in this story! Throughout, this story shines with the warmth that Tingle's storytelling voice brings to his writing. I highly recommend How I Became A Ghost. I have it on good authority that we'll hear more from Isaac. I look forward to it.True, it presents civilized Indians who live in a farming community in a Native nation that has treaty rights with the US. That's something if you're expecting the "half-naked grunting Indian men" of Little House on the Prairie. But that's not enough to make it a good book. I'll have to go with some of the negative comments I found on Goodreads:I know this book was written for the 9-12 year age group, but I think Tim Tingle vastly underestimates the intelligence of that age group. They're kids, they're not stupid. I had a few problems with this book. This is definitely a children's book, NOT a young adult book, so more advanced readers may be bored by the simple, minimalistic language. I gave this 4 stars initially, but then just a little bit of research today revealed that some of the history is likely wrong, and that complicates things. There is a fantasy element anyway, but the shocking smallpox blanket scene seems to be entirely fictional. Even though I think the kids would enjoy this WAW possibility, I just felt it was so exaggerated and unreal that I couldn't get into it. In this story of the Trail of Tears, Isaac is a Choctaw brave that can see ghosts and talk to them and has visions of when people will die. And he becomes friends with another brave that can turn into a leopard. Together they try to free a girl that has been kidnapped and forced to work for several cruel soldiers. This is a no vote for me. Love the title, and I really wanted to love the book -- Not many kids' books about Indian relocation have passed my way. But I just couldn't get into this. I started reading it out loud to myself; it sounds almost like oral stories written down. As stories told 'live,' in an intimate group, I think it would be better. On the page, it has a stilted, boring feeling. I am not sure kids will stick with this one. Too bad.The smallpox-blanket thing is disconcerting, and perhaps enough to disqualify the book as "history." It might be okay if Tingle had used the blanket gambit once--a bit of untold lore that might have been true. But it's a frequent issue on his Trail of Tears. The characters have to sniff out each blanket to determine if it's contaminated or not. I think Tingle was trying for a Tom Sawyer/Huck Finn type of adventure with Choctaw protagonists and magical elements a la Twilight. And if someone without Mark Twain's abilities had rewritten Tom Sawyer for 9-year-olds, it might come out like this. That's fine, but everyone's talking as if How I Became a Ghost is a great read for adults as well as pre-teens. With all the remarkable books out there, I wouldn't even recommend this to 9-year-olds unless they were deeply interested in Indians. To me, it's a Choctaw "Hardy Boys" starring Ghost Boy and Panther Boy, not a serious book for old(er) readers. Rob's rating: 5.0 of 10. Great cover, though.